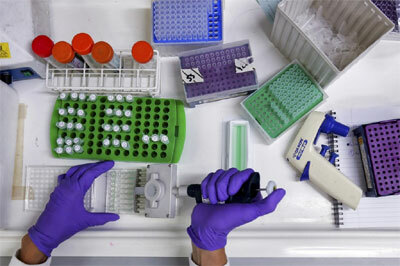 The Indian Drug Manufacturers’ Association (IDMA) and Vital Neutraceuticals, a city-based company best known for challenging the Food Safety and Standards Authority of India’s product approval advisory process, are set to write to the government highlighting what they say are “illegal” measures of the regulator. At the heart of the matter are product approvals again, which the company and the IDMA fought to scrap last year. It was the verdict by the Bombay high court in the Vital versus FSSAI case in 2014 that paved the way for the scrapping of the latter’s approval advisory process by the Supreme Court this year. The apex court in its order dated August 19, 2015, had declared advisories as being arbitrary and hence illegal. The FSSAI has adhered to this directive but has also indicated it will bring back approvals once regulations are done. It is this move by the regulator that the IDMA and Vital are seeking to quash. “There is no question of getting the product approval process back again because food safety regulations are based on the Food Safety and Standards Act, 2006. And the Act does not indicate anywhere that food business operators should be subjected to a product approval process if they have used ingredients in their products as per law. If they are looking to get the product approval process back again, this time through the regulation route, then they will have to amend the Act. Because all food safety regulations are based on the Food Safety and Standards Act,” said GV Kamath, director, Vital Neutraceuticals. The company and the IDMA, which was a party to the Bombay High Court case last year, will write to the Prime Minister’s Offifce (PMO) and the health and food processing ministries apprising them of the situation. The letter was expected to go out in the next week, Kamath said, in view of the “urgency of the matter”. Ashish Bahuguna, FSSAI chairman, when contacted today, said, “Once regulations are formulated, the process of approvals can be re-introduced.” He did not disclose when this was expected. But sources said it could take up to a year. Some food safety experts have questioned the regulator’s stance, saying if the list of ingredients under the food safety regulations of 2011 is being expanded then why consider regulating product approvals. The FSSAI is fast-forwarding the process of notifying guidelines for proprietary foods, health and dietary supplements, food additives and neutraceuticals. These items are not covered under the food safety regulations of 2011, which operationalise the Food Safety and Standards Act. Almost 12,000 ingredients have been put up on the FSSAI website for comments from industry. Neutraceuticals and health supplement majors were given till November 11 to post their comments, while food companies have been given till early next month. The 2011 norms cover 377 food items, implying these products are standardised and the rest are not. A thin list of standardised ingredients has led to the regulator-industry fracas. The move to standardise additional ingredients, experts say, will also bring India up to international standards under Codex Alimentarius, a collection of internationally recognised standards, codes of practice, guidelines and other recommendations relating to food, food production and food safety.